This page will cover the MySQL Database Backup Software. MySQL Database is a popular, robust and reliable Relational Database Management System (RDBMS). It has been used by millions of users in the world. And it can be installed on Linux, Windows and other operating systems. To have a good database server is one thing. But there is another important thing that you should be aware of. Database Backup is also very important and should be your first concern after deploying the server. On this page, I will write several ways to back up the MySQL database. There are many tools or backup software for the MySQL Database Backup. You can choose from the free one or the commercial ones. Please note that this page is a work in progress. We will update this page as necessary. Please consider bookmark it. 10 Which one is the Best? mysqldump is a free, built-in command line tool to backup your MySQL Databases. Even it uses the command line interface, it is considered as an easy and free way to backup your database. You can backup your local or remote servers with this tool. The official documentation of mysqldump can be found here. The following syntax will backup all databases on the local server to an sql dump file. You can change the values on the command to match with your server details. The command will back up the “temp_database” on the server 192.168.1.100, port 33061 into temp_database_backup.sql file. Change this accordingly. The following example will backup all databases on the server 192.168.1.100, port 33061 into all-databases_backup.sql file. --add-drop-database : execute the drop database command before create statement. This command will first drop the existing database before re-creating. To restore a single database, we need to create the database before the restoration process. After that, we can restore the database from the sql file. The command will restore the backup to the temp_database. You can restore it to another server if you want. This process could take some time if you have huge datasets. If you are looking for a professional MySQL Database Backup Software, I would recommend Navicat Premium. Current version Navicat Premium 12 Full Version is available with so many improvements. It is not free but you will love it. If you don’t want to deal with the mysqldump command line, Navicat Premium is for you. Navicat is available for Window as well as Linux OS. We have been using Navicat to perform various database tasks including backup, design the queries, transfer databases and many more. The Premium edition supports various database systems including SQL Server, PostgreSQL, MySQL, MariaDB, and some others. If you only need the MySQL edition, you can go for Navicat for MySQL which is cheaper. The downside of this MySQL backup program is that it does not support cloud backup storage. But, you can do a little trick to upload the backup file to the cloud manually. Navicat also provides a simple restore feature that you can use to restore your MySQL database from the backup file. 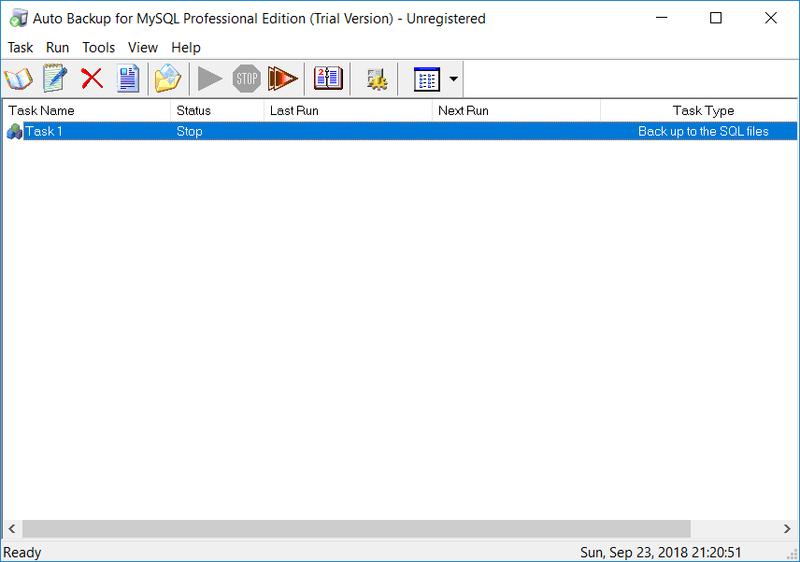 MySQLBackupFTP is another great backup software for MySQL database. With this software, you can perform the backup task to your databases and then store the backup in the cloud storage. It’s a really great MySQL Backup Software for Windows that you should try. It also available in a free version with some limitations such as the backup limit to only 2 databases and it only supports FTP, Dropbox, or Box. MySQLBackupFTP supports both local and remote MySQL server. It also comes with a simple file/folders backup. If you are using the full version, you can store the backup in various cloud storage including Azure, Amazon S3, Google Drive, One Drive and some more. It also comes with a simple and easy to use user interface. 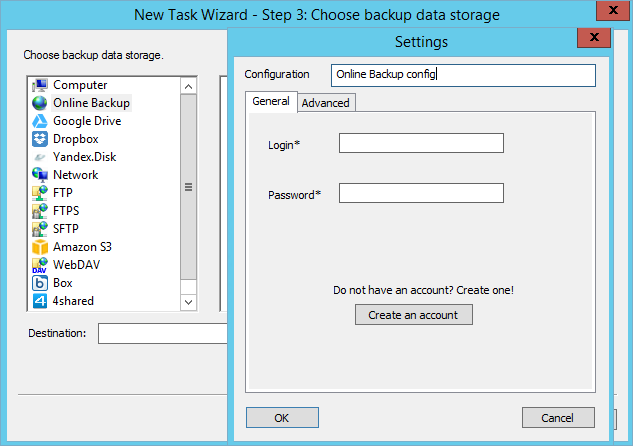 You can easily create an automatic backup schedule using the built-in backup scheduler. For download and pricing, please visit the official website. Handy Backup is also a well-known backup software. This software is not a specific MySQL Backup software but it can be used to backup MySQL database. It is available for Linux and Windows. Similar to MySQLBackupFTP, Handy Backup supports both local and remote servers. It also allows us to store the backup in the cloud storage such as Amazon S3, Google Drive, Dropbox. Handy Backup is not free. The price of Handy Backup full version is starting from $39 for Standard edition and $99 for Professional Edition. Please note that Handy Backup is a complete backup solution and it can be used to backup files and folders, or even you can perform system backup and disk image. If you don’t need those features, you may consider the MySQLBackupFTP since its a dedicated MySQL backup solution. Iperius Backup is a complete backup solution for personal and for enterprise users. It has many features such as disk image, cloud backup storage support, SQL database backup, ESXi and Hyper-V backup solution as well as Exchange Backup. It also has a built-in ransomware protection for free. In this article, I would like to focus on their product called Iperius Backup DB. It’s a special backup software that will backup your MySQL, SQL Server, PostgreSQL, Oracle and MariaDB databases. I have been using Iperius Backup DB for sometimes and so far I am pretty satisfied with its performance and features. The full version of Iperius Backup DB cost me about 149 Euros. The good thing about this software is that we can use our own Cloud storage to store the database. Also, we can back up our disk into an image for disaster recovery. You can download Iperius Backup DB and try it for free. Or, you can also purchase the Iperius Backup DB full version here. 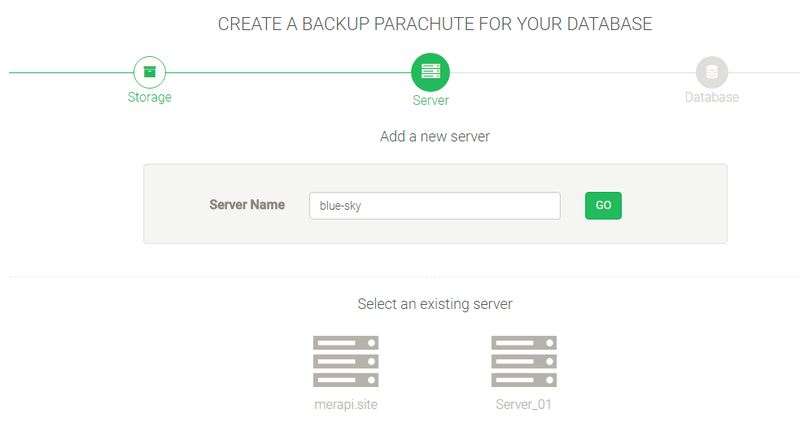 BackupBird is a cloud server backup. It can be used to backup website data as well as the databases including MySQL, MariaDB, PostgreSQL, and MongoDB. BackupBird comes with a nice, simple, and easy to use web management console. With this software/service, we can easily perform MySQL backup and store it to your own cloud storage such as Google Drive, Dropbox, Amazon S3, FTP, and OneDrive. You can try BackupBird for free (14 days trial). After that, you will need to select from any available plans. You can see it’s pricing here. We can use BackupBird to backup regular files or folders. This software is great for a website owner who wants to back up their website data and databases to the cloud. Ottomatik is another cloud server backup software that allows us to back up our server to the cloud. It supports regular files and folders as well as MySQL databases. It is pretty similar to BackupBird, Ottomatik offers an automatic server backup to your own cloud storage. Users need to download a small client utility and then the web-based dashboard will automatically detects the connection between your server and Ottomatik system. You can then configure the backup via web browser. 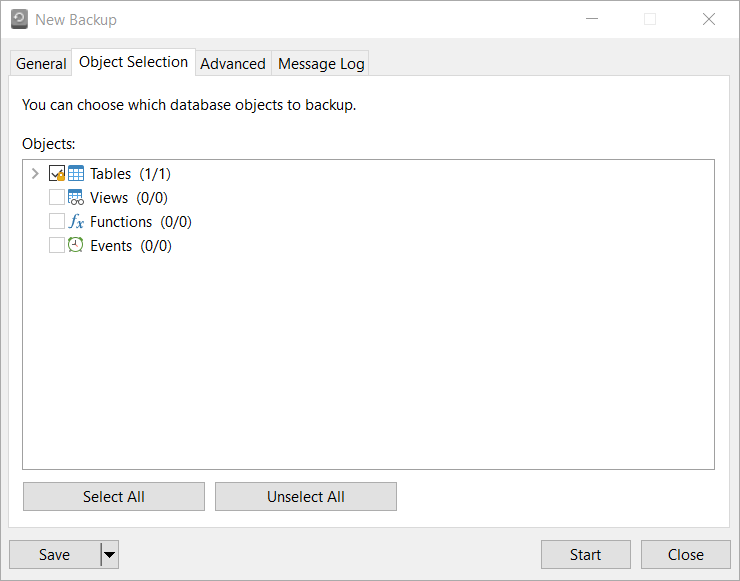 MySQL Backup Pro from Sowrdsky is a small utility that will help you to backup and restore MySQL database. 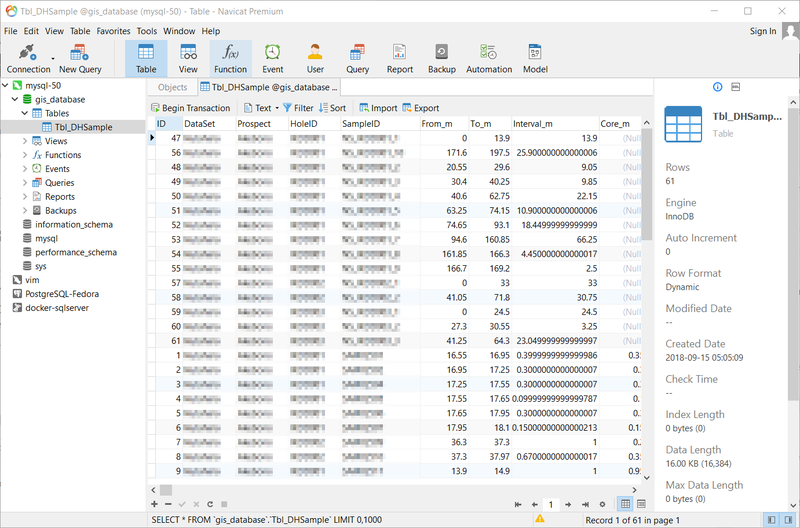 It can back up MySQL database to sql file, transfer database from one server to another, or you can also use it to transfer from one database to another. This MySQL backup software comes with a simple user interface. The current version still lack support to the latest MySQL server. It will not work with MySQL Server 8.0. ESF Database Migration Toolkit is a special program that allows us to migrate our databases from one database to another. It is not an actual MySQL database backup software but we can use it to backup our database by migrating or create database copy to another server. It’s very easy to migrate or copy database from one server to another. You can choose to migrate data and structure or simply migrate the structure only. 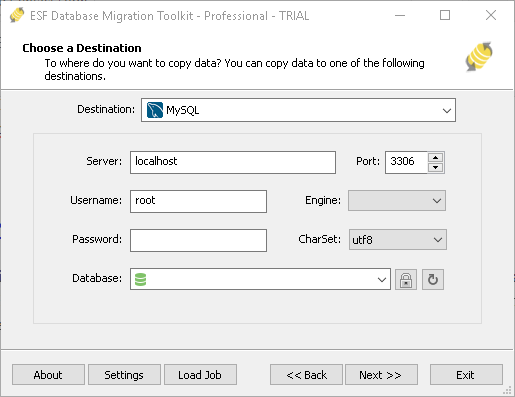 Please read our review about ESF Database Migration Toolkit. If you are Windows users and you need a powerful, easy to use, and support cloud storage, I would go for Iperius Backup. Compared to other software, Iperius has more features. But, if you are looking for a free one, and you don’t mind using the command line, then I would suggest you learn more about mysqldump. Actually, this is a powerful tool to backup MySQL databases.